Lately, I have been thinking about pre-cut fabric charm squares. What to make with them and how fun it is to get a small sampling of an entire fabric collection. I have some ideas for new quilts swirling in my mind, but it has been awhile since I really concentrated on getting some finishes, so first I am going to get this baby quilt quilted. This is the small version from my charm square quilt, Flying Kites. The pattern is available in my pattern shop and on Craftsy to download. 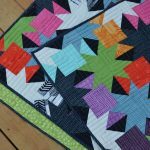 This pattern is a great way to stretch just one charm pack into a usable size quilt. I love how it shows off the prints in the squares and has strong secondary patterns. So, we are basted, and I even quilted a couple of rows just using straight and angled lines. It’s nice to have a quilting project to work on during breaks in piecing! And, to go along with my musings on charm squares, I have a little give away for you! 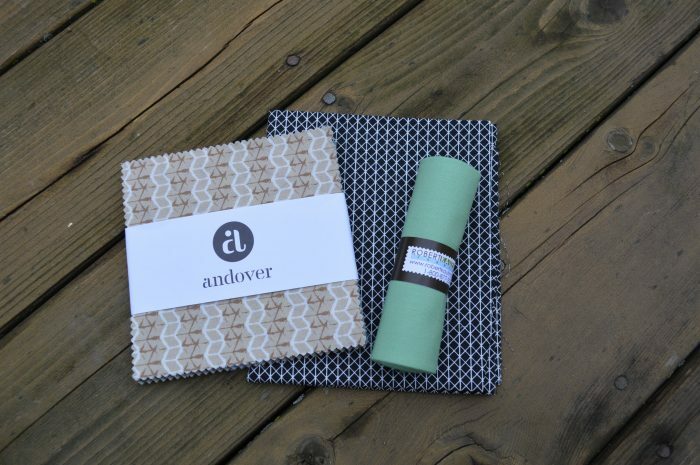 I chose this 5″ square pack of prints from Andover, with basic geometric prints in tan, black, green and blue, plus two fat quarters of coordinating basics to go with it. If you would like to make something with this fun little bundle, just leave me a comment on this post. I will choose a winner on Sunday, December 7. In your comment, I would like to know what you think about pre-cuts (any size). Do you buy them? Do you like patterns that offer options for using pre-cuts? My personal favorite when it comes to pre-cuts in the fat eighth bundle. It is a great amount of fabric for a medium size or large quilt without a ton of leftover. I am so happy that so many online fabric shops offer fat eighth bundles for fabric collections that don’t come that way from the manufacturers. I love your charm quilt with the little pop of green in there, great! I do like charm packs-I just don’t like the pinked edges! I also like jelly rolls. Beautiful quilt! Love the design and all the colours you’ve chosen!! Pre cuts are addicting in any size! I love them all. Thanks for the chance to add some more beauty to my stash. i love precursor especially Charm Squares, Jelly Rolls, and Layer Cakes… It makes creating a quilt quicker and everything coordinates well! This is perfect for me because I hand quilt and that alone takes a lot of time!! 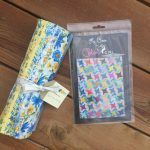 I do like precuts–a jelly roll or charm pack makes it easy to try a new pattern without having to spend a lot of time assembling fabrics. It jump starts my creative brain, then I can design something else with the fabrics in my stash. Yay! Thank you for the chance. I love my precuts. I like fat quarter bundles, and always enjoy the leftovers. I am always looking for good ways to use up charm squares. 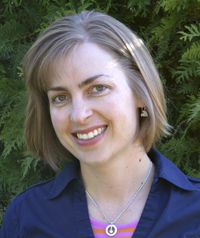 Like you I love getting a sample of a whole fabric line…takes the guesswork out of matching secondary patterns for me. I also like the patterns that use precuts…that said it can be frustrating when you are estimating how much fabric to buy if you dont use precuts with the pattern! Would love to win more lovely fabric! i love precuts of all varieties! Gives me a chance to use a whole line of fabric that I love and saves on cutting too! So many great patterns available for the precuts! Love this one of yours for the charm pack! I love precuts and have used jelly rolls, charm packs, and layer cakes. As one of your other commenters said, the only thing I don’t like is the pinked edges. For this collection, I could see making your kite pattern. I love the mix of solids and prints with that pop of green. Thanks for the chance to win. 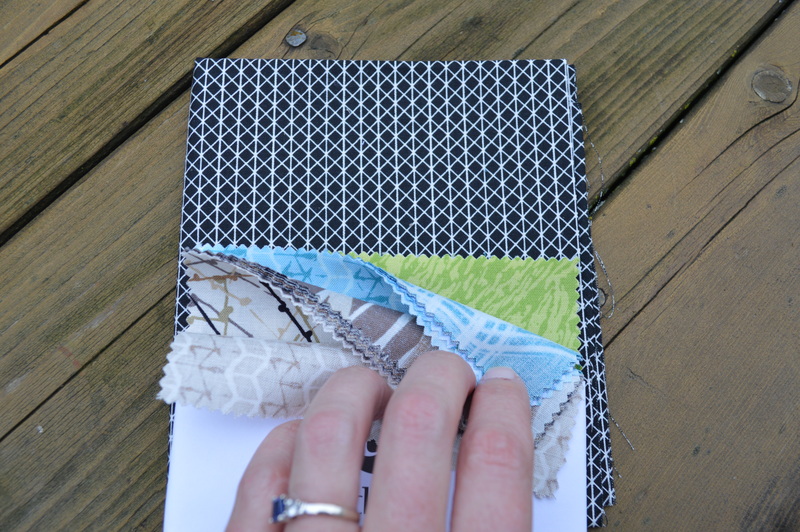 I love pre cuts – I’d love to make a quilt just like yours! Pretty quilt. I like pre cuts. Like prints. Patterns that give options for using pre cuts are always good. I sse allot of scrappy nickel quilts that I like. I love precuts. Sometimes its nice to not have to think about pairing up fabrics, and to not have to buy a little bit of yardage of multiple prints. I like patterns that show unique ways of using precuts, or combos of precuts. I don’t buy precuts because I don’t like the pinked edges but I have used them at retreats. I think they are useful to see a fabric line without splashing out too much. I really like precuts and find them helpful for beginners like me. You get a nice collection of fabrics and can add some solids if you like to make it more your own. Making charm quilts is good practice too for matching your seams and perfecting your seam allowance. Your quilt is very nice! Thanks for the giveaway-you made a nice complete pkg with the charm squares and extra fabric! I really like the boldness of your quilt. I like precuts and my favorites are fat quarters and layer cakes. I find I can get just about any cut I need out of those and always have a little left for combining with other fabrics for a bonus quilt. Love the fabrics in the giveaway as geometrics are my favorite prints. I love precuts and my favourite is a jelly roll. They are so much fun to use when making a quilt. I do love pre-cuts because they make cutting so much easier when preparing to sew. Getting exact measurements can be such a pain when cutting large pieces of yardage. Why make it so hard on yourself when you can buy pre-cuts! 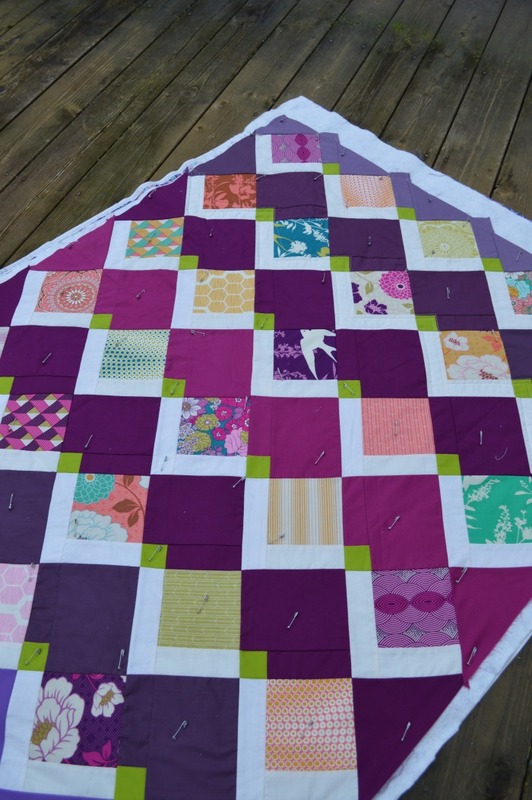 Your charm quilt is beautiful with the alternating purples and prints and the little green squares! I’ve used fat quarter bundles, but I haven’t used other precuts like charm packs because I don’t know how to handle the pinked edges to get even seams. I prefer larger cuts of fabric, to me the fat quarter is ideal. I use precuts a lot because I like lots of variety in my quilts. I love pre-cuts. Cutting fabric is my least favorite part of quilting. I try to collect patterns specially designed for pre-cuts. My favorites are FQs and charms squares. Thanks. I like the precut fabrics! I haven’t bought many myself but they are great for little projects like runners, placemats, baby blankets, and wall hangings. I love pre-cuts! I find that I can incorporate them into quick quilts. I love the fact that you don’t have to do all that cutting and get down to sewing! I like the idea of precuts because it gives me access to a bigger variety of fabrics without having to buy large quantities individually. I have several 5″ charm packs that I need ideas on what to make. I have two baby quilts that need to be made in about 2 months so I had better get thinking on something to make. i am finding that I can use precuts more now because the cutting can be a chore sometimes. I life F8 or FQ but now will be looking into some jelly rolls. I like your quilt. It’s different from the usual. i have tried charm squares and jelly rolls and prefer the charms. Thanks for the giveaway. I’m currently using Charms in a project. It’s a great way to get a lot of variety without investing in a lot of yardage. I love fat eights too, and I agree with you, it’s an excellent size for a variety of uses without a lot of leftovers and at reasonable cost. I love charm packs. I can get a little bit of the entire line of fabric without having to buy lots of it. I enjoy precuts of all kinds. I especially like charms because they are so handy when I need a quick project. I love Flying Kites so how perfect as I’m seeking a pattern for Charm Squares. 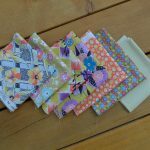 My preference is fat quarters, mainly a multitude of coordinating prints put together for me…still a novice here:) I do like leftovers so I can use those for quilted totes, jewelry roll ups and pincushions…yes all my quilts have matching pin cushions. Thank you for sharing. Oops forgot to say, Yes I buy precuts (FQ’s) and I love patterns specifically for that pre cut. It gives me an idea how to lay out the pattern conservatively. Love your quilt. Big fan of purple. I like precuts and prefer patterns that use them. I personally like fat quarters, as you can get a great many different shapes and sizes out of them w/out a lot of expense. I agree with you that charm packs are a great way to have a sampling of the whole collection. I made my twin boys’ blankets by simply sewing the little squares together. As my first (and second) quilts, they turned out pretty good! Fat Quarters are my personal favorite as they are always perfect for paper piecing projects when I don’t know how much I need just looking for the right color or value. I have a lot of 5 inch charms but haven’t invested too much time in them but the one time I did I was impressed with the speed of getting the flimsy done. I love the colours in the charm pack you have chosen to give. Precuts are great for just getting at a project quickly. I make more baby quilts than anything else and FQ bundles go a long way for those. I’ve never bought pre-cuts aside from FQ bundles. I’ve never used a charm pack or jelly roll. I’d be interested to try one with some project like this,in mind. Love that navy and white geometric!